Update: Tito’s Tacos Backpedals And LOVES CicLAvia After All! Every CicLAvia event draws thousands of bikers and pedestrians to its route. So why, oh why, does Tito&apos;s Tacos owner want to shut down what should bring thousands of hungry mouths to their restaurant? This Sunday&apos;s CicLAvia goes from Culver City to Venice—a 6-mile route that primarily goes along Washington Boulevard, Washington Place, and Venice Boulevard. One of the many stops along the way is the famed gringo-taco stand, which has been in business for over a half-century. "I come here to express my utter outrage that the city and some non-profit group called CicLAvia will close Tito&apos;s Tacos on Sunday, Aug. 9, to our regular customers—many of whom come from as far as Santa Barbara, Riverside and San Diego counties," writes Tito&apos;s owner Lynne Davidson in an op-ed on the Culver City news blog The Front Page Online. "Some non-profit group?" That is some grade-A shade topped off with a little spicy salsa. Davidson goes on to write that the forthcoming CicLAvia will totally ruin their year, as August 9 is "traditionally is one the biggest days of the year for us." If Culver City and that nobody-nonprofit don&apos;t cancel the "ill-conceived event" on Sunday (or at least just open the roads around Tito&apos;s for cars), then Davidson threatens legal action. 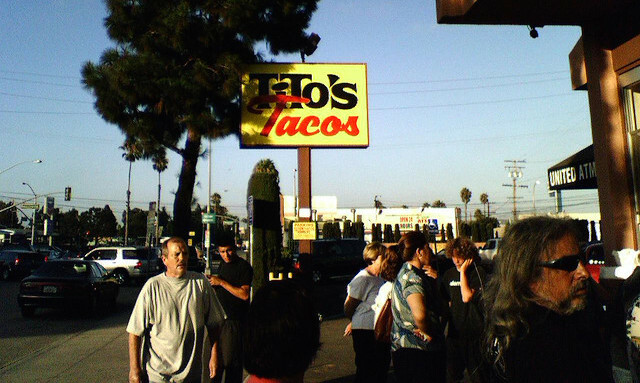 "We are not closing Tito&apos;s Tacos," Aaron Paley, co-founder and executive director of that small-time nonprofit CicLAvia, told L.A. Weekly. "If they make a decision to close that&apos;s their decision." He also said he&apos;s met with Davidson and Tito&apos;s Tacos, and says that the event will, duh, bring thousands of potential customers to Tito&apos;s. "We are coming," writes Militant Angeleno in his guide to CicLAvia. "And you will get A LOT of business." Besides, all those people migrating from Santa Barbara, Riverside and San Diego counties can park on Sepulveda Boulevard and, god forbid, walk to the restaurant.